Submitted by Y.Vora and T.Sharma on 07/05/2018 - 09:28. Can the SDGs be used to mitigate local challenges? The recent water supply crisis in Shimla, a city in the foothills of Himalaya, has made our Indian partners in Nagrika, Yutika Vora and Tarun Sharma, think about the role of the SDGs. The Sustainable Development Goals (SDGs) are designed to serve as universal goals for the global community to chart a trajectory of sustainable development. These goals provide a framework to track progress on social objectives deemed important for a healthy and resilient society. Three years down the line from their adoption, the discussions at the UN High-Level Political Forum in New York next week will review the progress of the goals by the various countries. In this context, it might be interesting to analyse the role SDGs can play in benefitting decision-making of governments at local and regional levels. Can we look at the SDG indicators as more than a monitoring mechanism? Can they act as tools to help local governments (city or district level) identify red flags that can highlight impending crises? These thoughts come to mind as severe water crises lately have hit cities in the world including two where Mistra Urban Futures works, namely Cape Town (South Africa) and Shimla (India). The intensity of water crises and their impact was big enough to make national as well as international news. This summer, the water crisis was the worst Shimla has faced in decades. 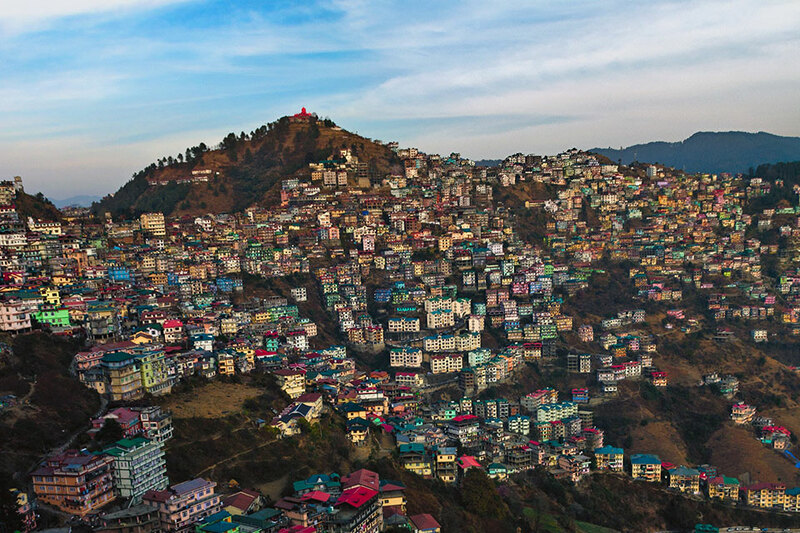 The evidence emerging from Shimla point to multiple causes: Shimla had an eighty percent deficit this winter in snow fall, exponential urban growth, leakages in the piping distribution system, and not enough water at the source, to name a few. Shimla had to respond quickly to address these concerns. The water supply machinery seemed to be back on track with the supply of water restored in most regions very quickly by bringing in water from further away.. For the short term, in addition to securing water, the Municipal Corporation created and disseminated a water supply schedule for different parts of the city. This was published in the local newspaper and also posted on the website. In a recent visit to Shimla, many residents mentioned that the water is now available. However, the costs of keeping the city’s water supply functional continue to be quite high. While the event was first in the history of the city, the rapid change and unpredictability of the winter snowfall is a cause for alarm for the years to come. In order to avoid such a dire situation in the future, significant action needs to be undertaken. In such a situation, can a framework like the SDGs provide any help? What kind of systems would help us foresee and plan for these kinds of crises? In a scenario where a municipal body is tracking all the SDGs and particularly the SDG 6, which seeks to “Ensure Availability and Sustainable Management of Water And Sanitation for All”, would the Municipal Corporation be able to foresee this impending challenge and be able to take the steps required to mitigate the crisis? The indicators under SDG 6 include the 7 specific indicators on water access and water stress. They can help local bodies to track the access of their citizens to safe and affordable drinking water as well as improvements in water-use efficiency and sustainable withdrawals, thereby reducing the number of people suffering from water scarcity. While these indicators may give a sense of these outcomes, they are not dynamic in nature, unable to capture seasonal changes. SDG data are reported to the UN at the national level, however, the data are aggregated from local bodies which often gather and track this information. Urban local bodies in developing countries are often implementing agencies of various government programmes, including those of state and national governments. Given the limited capacity, these agencies are always working tirelessly to ensure proper functioning of the city through operations and maintenance of utilities, resolving day-to-day citizen grievances and providing basic services. The gathering of SDG indicators by linking them to the municipality’s day-to-day functioning can help reduce any added stress to the system and make the SDG framework more relevant and action-oriented in a way that is useful at the local level to mitigate challenges. In their regular routine, the local bodies generate a significant amount of useful data that can be used to infer the information on SDGs. Data and information are compiled for several reasons, including progress reports on national/state government programmes, surveys for identifying beneficiaries under various schemes, and asset mapping for commissioning new projects. With the monsoons now covering the whole of the Indian subcontinent, we have gone from one end of the spectrum of having water shortages to having flooding. The question remains - how can we create systems that help the administration better manage resources in an age of climate uncertainty? With more than 54% of India being water stressed, it may not be Shimla next summer but another city. We need the systems in place that can enable detection of a challenge and then the right capacity in place to be able to mitigate these challenges. Shimla has already taken steps in the wake of this crisis to try to secure its water resources for the coming years. It has created a plan to cut down water losses, improve water storage facilities within the city and update the outdated water pumping facilities. In addition, it has consolidated the various institutional bodies that worked on water management to a ring-fenced entity in the form of a water supply and sewerage board. The governance of the body and the timely and efficient implementation of the projects will help reduce the strain. However, it needs to be coupled with robust monitoring systems that can raise a flag well in advance. The SDGs can help provide one such monitoring mechanism to manage resources. How is the city and space connected?